Two car garage Villa style home in the Village of Deer Knoll in Elkton! New Bedroom Carpets! Newly painted! Two fireplaces (one gas, one electric), gourmet kitchen w/granite countertops. Bay window, side deck, walk out basement (finished) with a fenced in yard with privacy trees and a paver patio. A true find close to I95/Rt40 and easily accessible to APG or Wilmington/Philadelphia and about an hour from Rehobeth beaches in Delaware. 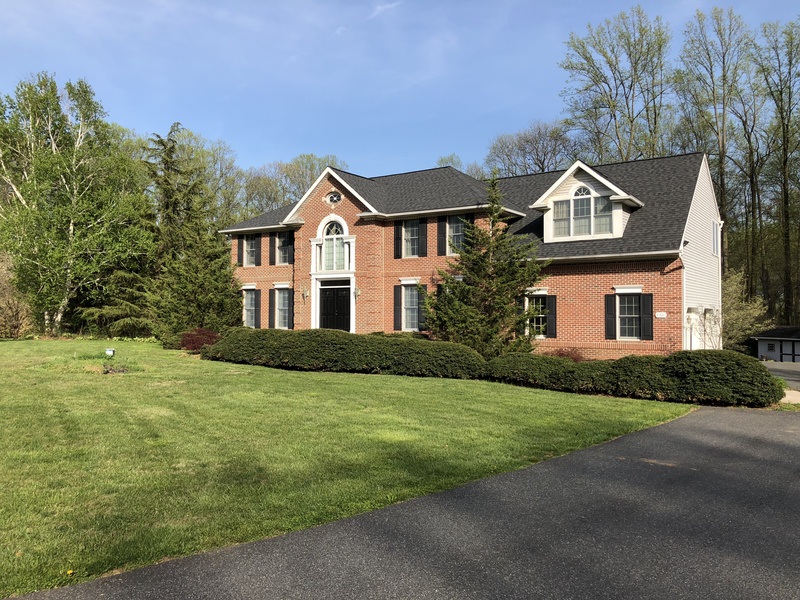 Great location, HOA, in the Elkton town limits. Cute, Cozy, 4 bedroom, 1.5 bath home with a rear covered patio and a large fenced in backyard that borders a church's field lot. What a find! This home is perfect for those who want one floor living. Has a wood burning fire place and Solar Cells for green living and lower utility costs. A Must See! MOTIVATED SELLER! Call me for a showing today! Welcome to the historic town of Port Deposit, Maryland. This circa 1900 cape-cod style home backs to a creek that flows into the nearby Susquehanna river. It is a diamond in the rough and needs renovation. It is a great find for anyone who likes old homes in historic villages and believes in the value of restoration of older homes. New attractions possible in the area could make for an excellent rental too. Will not pass VA, FHA, CDA, USDA. Cash offers only please. 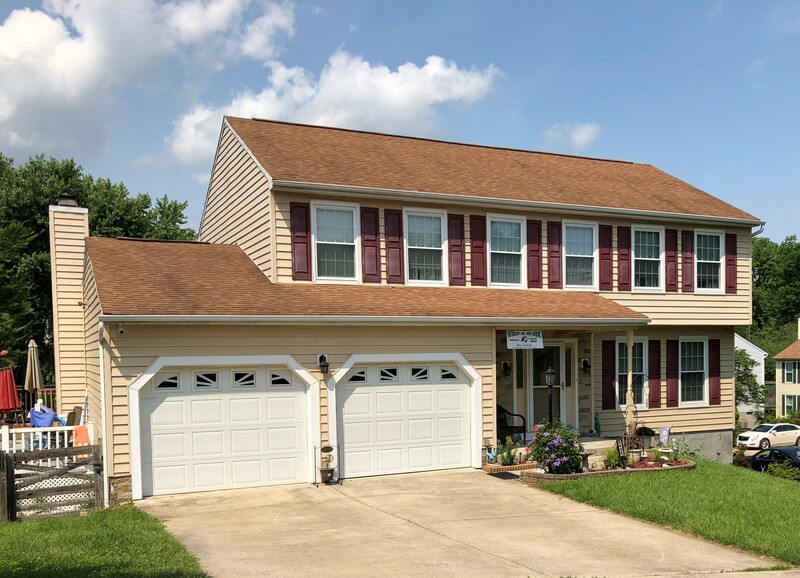 [SOLD] Patterson Mill school district & possible in-law suite!! True 5 Bedroom w/a pool off the deck! Beautiful 5 bedroom, 3.5 bath home including possible in-law suite w/2nd kitchen, walk-out lvl in desirable Broadview community and school districts. Enjoy a dip in the pool during the summer and a great sledding hill for the kids in the winter! Private back/side yard with deck to pool off family room. Large Master Suite w/expanded bathroom. Great Colonial home with over 3,000 finished sqft. The basement level is a true-walk out level, near the side of the yard, outside entrance. It had previously been an in-law suite for an older family member, with a true 2nd kitchen, true bedroom with egress window, and their own full bathroom. the Recreation room was transformed into a 2nd living room. To make it an in-law suite again, add a stove and 2nd refrigerator. Great also for returning college students or older teenage children to give them their own space! 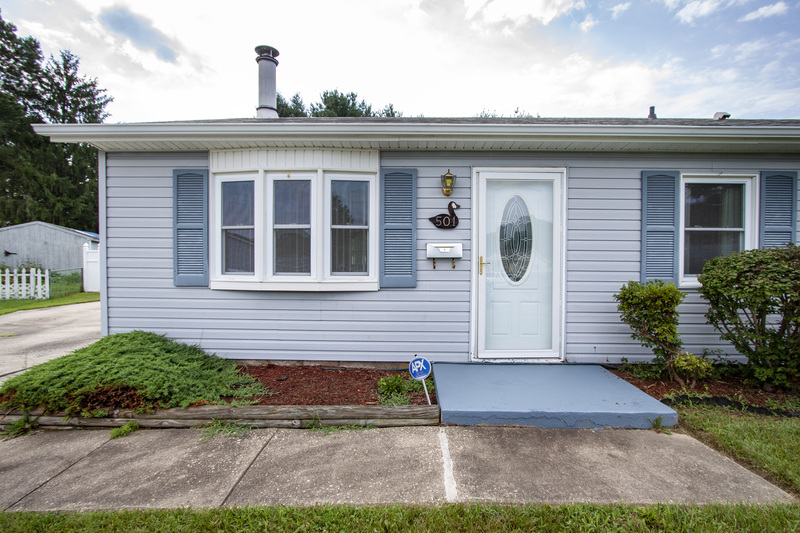 [SOLD] [OPEN HOUSE CANCELED - HOME UNDER CONTRACT] Wonderful home, Improved PRICE!! Motivated Sellers! Custom built home in the style of an Amyclae Colonial Manor, this home has it all for the nature lover, hunter, or those who like to entertain. Expansive rear covered deck with ceiling fans and lights allow you to enjoy the outside rain or shine, over 800 sqft. Expansive Master Suite with Master bath, and 3 additional large bedrooms upstairs, one with amazing built in shelves and wood floor. Kitchen with 3 ovens, large vaulted ceiling family room and dining room with sky lights and views of your 7+ acres, along with a Quadra-fire pellet stove insert. Basement has separate walk-up stairs and could be used as an in-law suite or bar/entertainment combination. 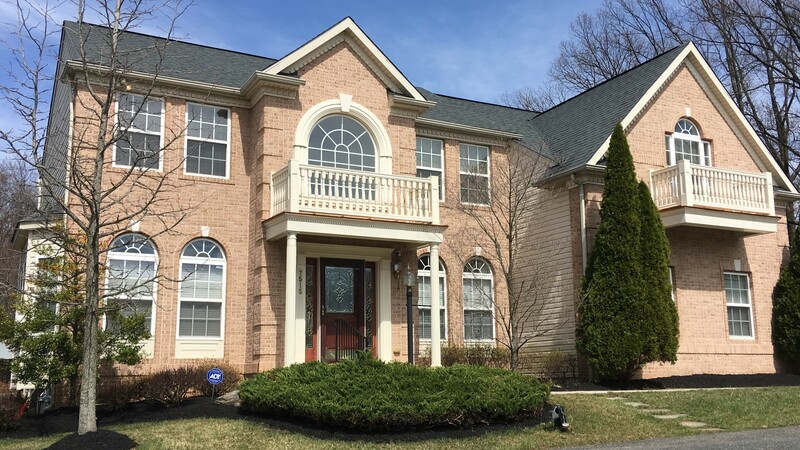 [SOLD] European inspired contemporary custom built home in North East, MD on 27 acres w/2 ponds (MLS#:1000473102] Updated Price too! Radiant heated floors on every level of the home!!! 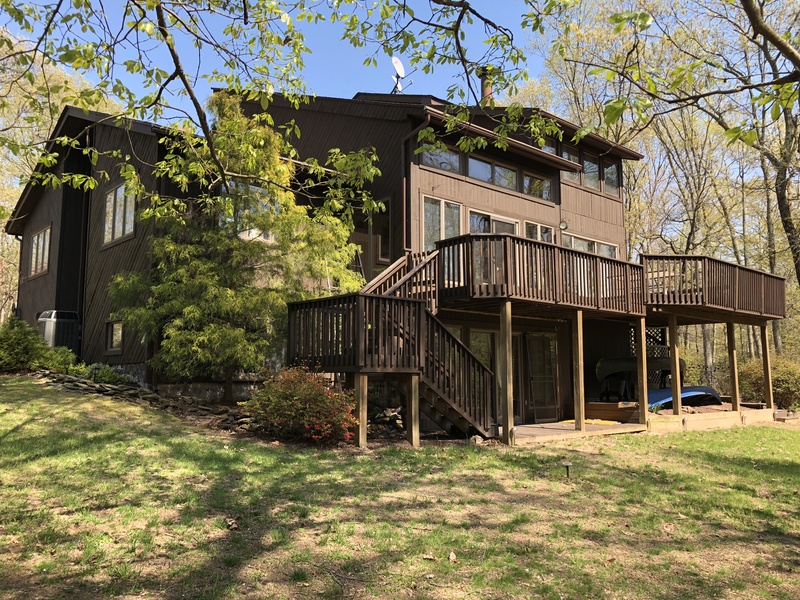 Custom built by a German engineer in 1990, this wonderfully serene setting is perfect for entertaining with a 2 level wrap around deck, screened in porch, volleyball/horseshoe area and outdoor fire pit. This beautiful home has been extensively renovated and updated from top to bottom. You will love the hand built 2 story stacked stone fireplace, luxurious master bath and beautiful open kitchen with 3 ovens for the cooking enthusiast. Hand scraped hickory hardwood floors on the entire first level. Four (4) bedrooms, three (3) baths including a very private master suite w/ its own private sitting room and a sun room off the dining room that opens to the decks. Radiant floor heat on all 3 floors as well as a new dual zone TRANE HVAC system(2014), 2 ponds and a separate two story 20x30 ft outbuilding w\electricity for hobbyists. New roof (2015). 5 wooded acres with a large cleared perc'ed homesite overlooking a stocked pond. Catch bass and perch or just enjoy the view. Paved driveway already in place leading to this private sanctuary. This is the last remaining lot (LOT 15B) of the pre-approved Wilson Woods development. Bring your builder and build your ideal home today! Shared Driveway with Lot 15 (949 Shady Beech Rd) NO HOA. Shared-driveway covenants with 949 Shady Beach with perpetual shared maintenance agreement. 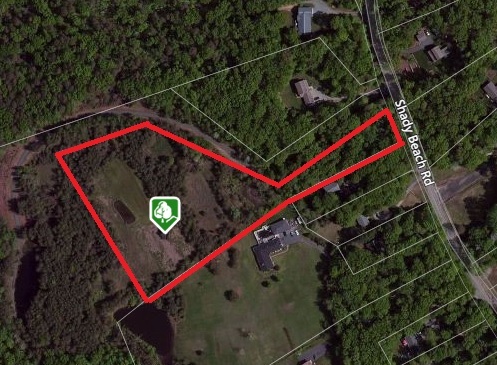 Large cleared area (several acres) perfect for you to build a house of any style or size currently exists on LOT 15B. Clear some young conifers to connect both clearings for an even larger open area! PRICE TO SELL! [SOLD January 2018] - Cedar Lane Farms community Model Home! AMAZING Model Home, original owner, you need to see it to take in all the details in this home. 3,383 finished square feet! Unfinished 9' pour basement (1500+ sqft) waiting for you to finish it to suit your needs! 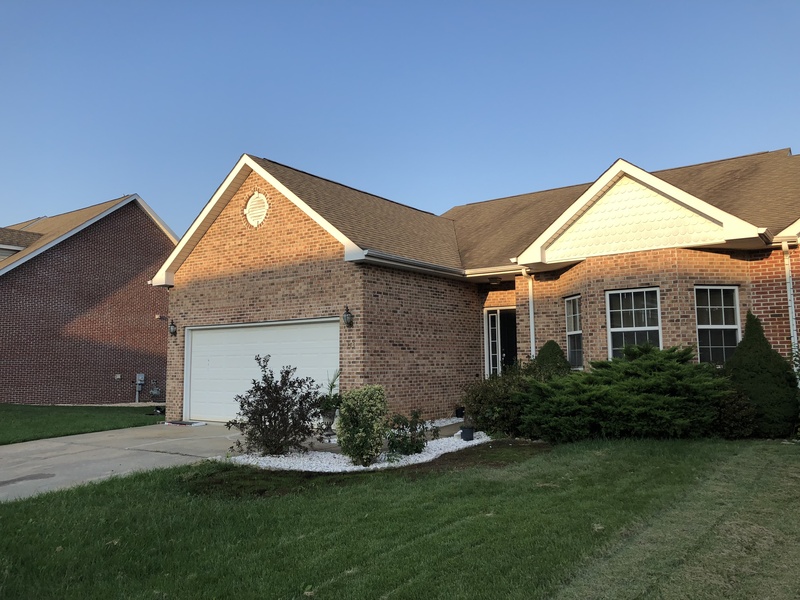 HUGE Master bedroom, vaulted ceiling, sitting room, master bath, walk-in closets and two seasonal storage spaces, Great Room adjacent to expansive Kitchen with many upgrades and Sun Room, including huge 20x12 covered and screened rear deck! Drapes/Rods/Curtains/Blinds all convey! GREAT LOCATION! Finished side-load Garage with heating/cooling/insulated double-door, SMART floor-plan, hardwood floors, ceramic tile floors, chair rails, tray ceilings, wainscoting throughout house. Exterior architectural shingles, brick front of house with quoins and keystone arches above first floor front windows, dental moldings and landscape lighting, WOW! Understanding your interests and needs is where it all begins! I am a devoted real estate agent, specializing in buying homes and selling homes, including single family, new construction, and condominiums.. I can also list and advertise your rental properties. My goal is to find you the perfect property you can call home. I invest my time in listening and learning to your needs and desires and leverage my local knowledge to help you in all your real estate needs! Buying or Selling a house is an important decision and can be a lengthy process, I am here to help you through the entire process. Feel free to contact me if you have any questions about buying or selling or leasing your home. I was born in Harford County an have spent my years in Cecil, Harford, and Baltimore County and Northern Baltimore City. I have over 25 years experience in Marketing and Sales techniques. I take a concierge approach to either helping you sell your existing home, finding the right property to call home, or even a place to rent (or rent your property). 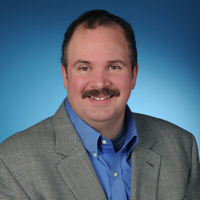 I will leverage my years of experience coupled with my knowledge of technology to help you accomplish your real estate goals. 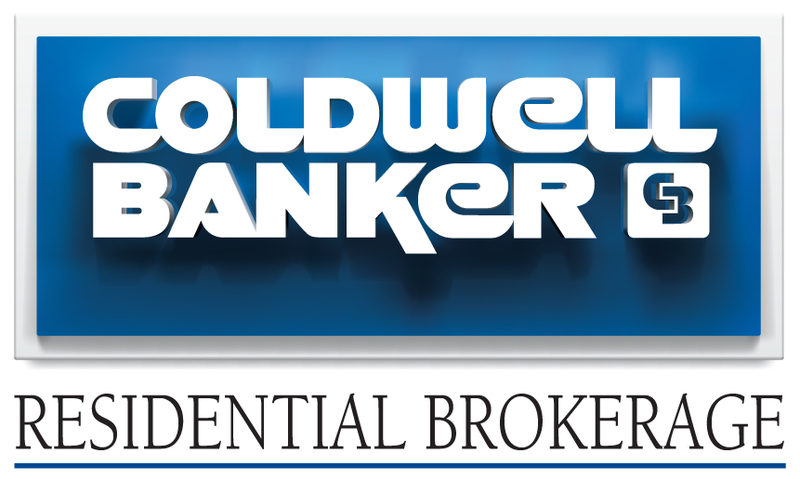 Please feel free to email me at Jeff.Dinger@cbmove.com or call/txtmsg 410-322-0617 to begin our conversation. I'm here to help and look forward to being your Realtor® for life! Finding the right property to call home is about learning what is important to you! My approach is to listen, learn, and show options available in the area. Once the right property is found I'll be with you on your journey every step of the way assisting with negotiating the offer, to helping with setting up inspections and discussing options throughout the process untl the day of settlement when you become the owner of your new home. I look forward to assisting you in finding and obtaining your new home and/or selling your existing home in Cecil, Harford, Baltimore, and Northern Baltimore City. If you have interests outside of my main area of expertise, I'm happy to connect you with local experts in any county, state, or county through my network of global Realtor's®.